Power couple, Ben Pol and Anerlisa has proven strong, considering the fact that fame is written right on their foreheads. The two have succeeded in establishing a firm ground in their relationship away from the public unceasing hate and criticism. Just recently, Ben Pol sent over a card alongside a gift, to the love of his life, Anerlisa Muigai. The Keroche industries heiress, however feels overpowered with emotions and shares it: ¨I love you with all my heart¨ read the card´s head. ¨Aww how sweet¨ a message from the Kenyan heiress followed in closely. Additionally, Anerlisa shares the photo below, hours later on her page and it is definite, these two are tight and decided: A photo she captions: I´d still choose you over and over again. With their engagement party already stale news, I guess we´re looking up to a fancy and lit wedding. 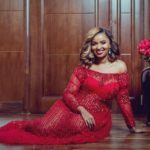 The post Ben Pol´s gift to Anerlisa that leaves her awed on social media appeared first on Ghafla! Kenya.